There are many ways to stay organized, but this one caught my eye yesterday in my buddy classroom (4th grade). When using earbuds, each student can bring their own so there's no ear wax sharing and you can store them by their class number in a plastic organizer of your choosing. Then, if you really want to go crazy with organization. 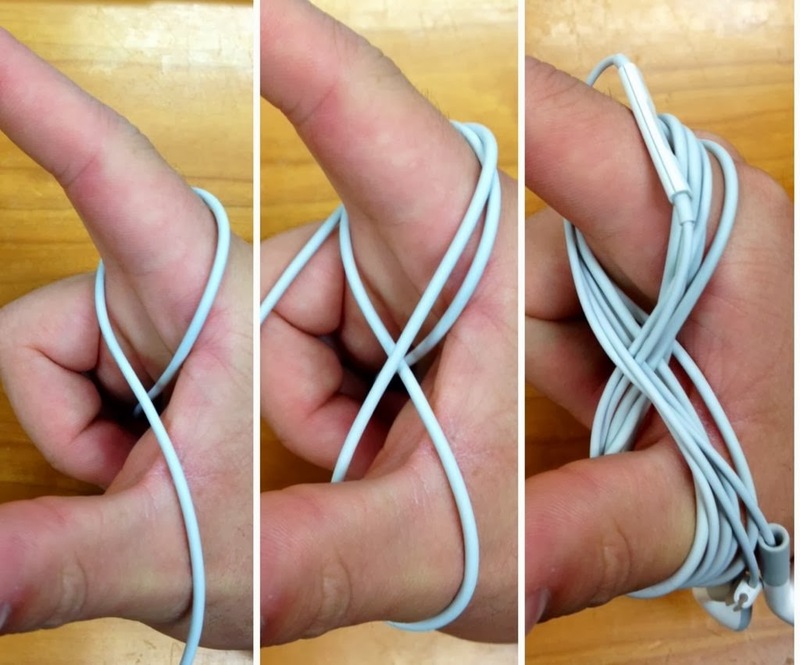 You can have your students learn to wrap their earbuds using their pointer finger and thumb. There are numerous versions of wrapping available on the internet. This might be a way to keep sanitary and sane all in one swoop of the earbud!